After Austin sent Tacker’s information to Clark D’Souza, he posted several threatening videos on YouTube about Tacker. YouTube has since removed the videos because of the content. Earlier this year, Tacker accused Austin of voting on multiple projects that could financially impact properties owned by Austin in and around the community of Oceano. The Fair Political Practices Commission reviewed the complaint and mounted an investigation into the possible conflicts of interests. Austin sits on both the Oceano Community Services District and the South San Luis Obispo County Sanitation District boards. In 2017, the Oceano CSD requested a restraining order against Clark D’Souza because of his “hostile and extremely agitated” behavior. The district complaint also detailed the aggressive behavior of D’Souza’s dog, a 90 pound Rhodesian Ridgeback he would bring to the district’s office. The court granted a temporary restraining order that lasted from June 25, 2017 through Aug. 3, 2018. The San Luis Obispo Sheriff’s Department took custody of D’Souza’s shotgun and ammunition. 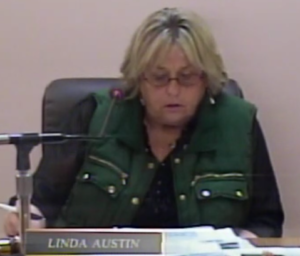 During a Sept. 19, 2018 sanitation district board meeting, D’Souza questioned why Tacker was at the meeting while she lives in Los Osos, parroting comments made by Austin. 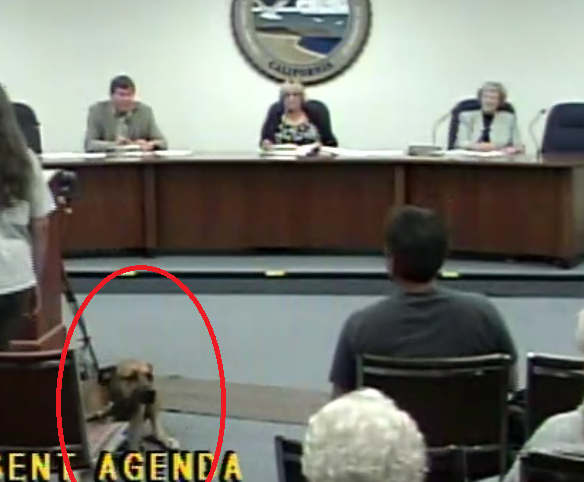 He then left his dog unleashed at the podium while Tacker spoke. As chair, Austin took no action. Shortly afterwards, D’Souza posted a video on YouTube titled “Jim Hill fucks goats,” in which he ranted about Hill and several others who have attended sanitation district board meetings. Tacker then sent an email asking for a copy of the district’s restraining order against D’Souza. “Does OCSD have a restraining order on Clark D’Souza? If so, may I have a copy? He’s completely crazy and I worry about him at Sanitation District meetings,” Tacker wrote in the email. Austin responded by sending Tacker’s email, which included her contact information, to D’Souza. D’Souza responded by posting several threatening videos about Tacker on YouTube in which he noted that Austin made him aware of Tacker’s concerns about him. Austin did not respond to requests for comment.